Today is the 40th anniversary of the UAE – it’s a day (a week even) filled with celebrations of the many things this country has achieved in it’s 40 years. It’s been through an evolution that’s pretty hard to comprehend, from desert living to a true 21st century country, and I’m lucky enough to live in the capital city, Abu Dhabi, an amazing modern metropolis. If you’ve followed this blog you’ll have seen something of the UAE and the celebrations of National Day before here and here. This week has been filled with parties, fly pasts, concerts, singing, dancing, competitions, fireworks and the whole city has taken on an air of celebration. If you’re on my Facebook page you’ll have seen my girls all dressed up for their school party and getting into the fun of the celebrations. 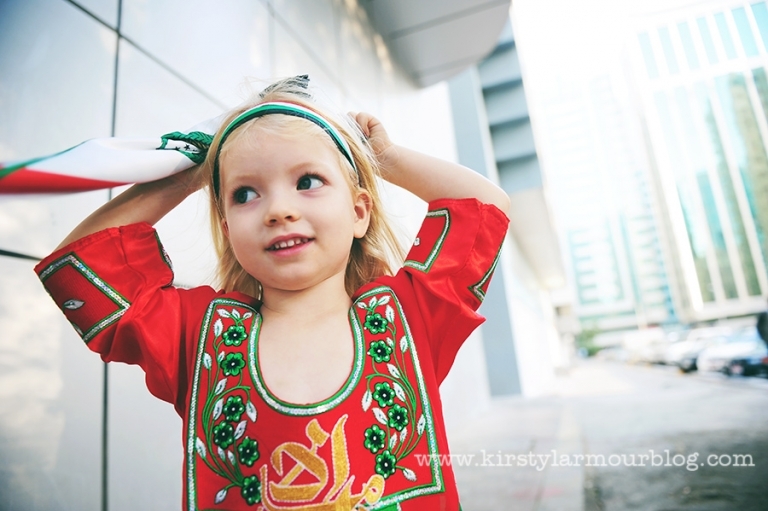 For us it’s more than a 1 day party – this is the country where one of my children was born and she’s incredibly proud of it – and just as we celebrate Chinese New Year for Saffy who was born in China, we are thrilled to be part of the celebrations for National Day here in the UAE for Indy. 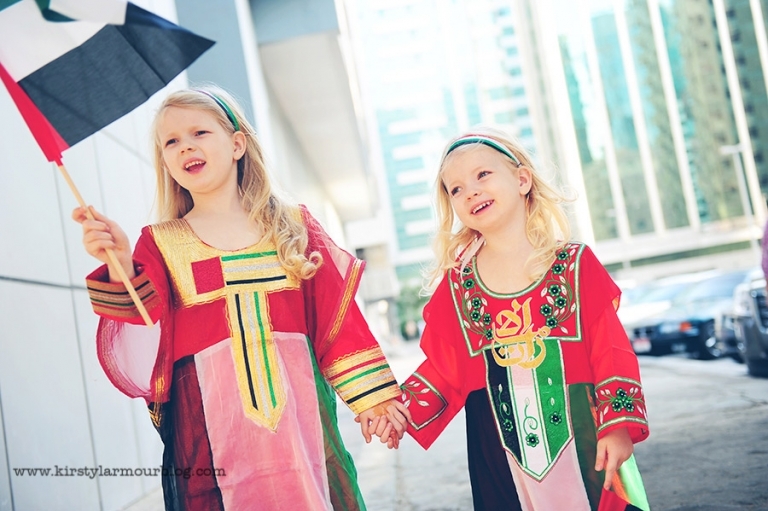 She may not be Emirati, but UAE will always be part of her identity. The girls indulged me a little photo shoot for 5 minutes after school while they were still dressed up in their kandora’s and with some of the gifts they’d been given by their Emirati class mates. Laura - Love the last shot with the balloons. Nothing sweeter then a little kid enjoying youth with a handful of balloons! Amy - What a fabulous glimpse into your special day! I always love seeing your girls and learning more about you!